CalEnergy Plants 240 Trees, Committed to its Social Responsibilities | FEED, Inc. 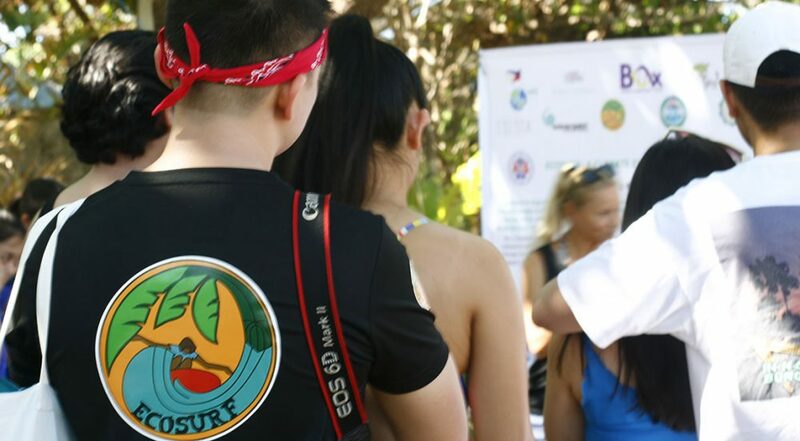 The program was attended by FEED President Ophie Bakker-Mananquil and FEED Chairman Jacob Bakker, while being implemented by FEED’s VP of Operations, Diane Penales. Forester Rey Lorida, UPLB Certified Forester who manages more than half of the 10,000 hectares of the LQLG, was scrambling on the way to the site etc. Forests are among the most valuable natural resources in the Philippines. They provide a range of ecosystem services, ranging from the provision of food crops, livestock and fish to providing recreational experiences. Forests also serve as significant carbon sink and are vital for biological conservation and environmental protection, locations for education and research, habitat for indigenous flora and fauna, and resettlement areas. According to the National Commission on Indigenous Peoples (NCIP), forests serve as home to some 12-15 million indigenous peoples and provide livelihood to many families. The Forest Management Bureau (FMB) of the Department of Environment and Natural Resources (DENR) defines “forest” as land with an area of more than 0.5 hectare and tree crown cover1 (or equivalent stocking level) of more than 10 percent. The trees should be able to reach a minimum height of 5 meters at maturity in situ (original position / location). A forest consists of either closed forest formations where trees of various storeys and undergrowth cover a high proportion of the ground or open forest formations with a continuous vegetation cover in which tree crown cover exceeds 10 percent. Young natural stands and all plantations established for forestry purposes, which have yet to reach a crown density of more than 10 percent or tree height of 5 meters are included under forest. “In 1934, forests comprised more than half (57%) of the country’s total land area. In 2010, the forest cover has gone down to 23 percent or about 6.8 million hectares mainly due to increasing agricultural and housing needs, commercial and illegal logging, and kaingin (charcoal making) and forest fires. The extensive deforestation and degradation are brought about by the inequitable land distribution, insecure tenure and rural poverty in the country. The issuance of Executive Order No. 23 on February 1st, 2011, declared a moratorium on the cutting and harvesting of timber in natural and residual forests nationwide. While it substantially reduced the illegal logging hotspots in the country, it may have also resulted in the loss of public revenues, incomes and employment in the logging industry. With the imposition of the log ban, subsistence upland dwellers may also have swarmed the forests and indiscriminately cut trees as concessionaires abandoned the areas they once protected. Intensive quantitative and qualitative impact analyses of EO 23 along with other policies should be conducted to see whether or not these policies should be continued, amended or abolished (Israel, 2013). In the Senate of the 16th Congress, a number of legislative measures were filed to protect and develop the forestry sector. Nine bills (Senate Bill Nos. 30, 45, 520, 531, 675, 1093, 1094, 1644, and 2200) are filed on sustainable forest management and on tree planting, five bills (SBNs 142, 171, 769, 1308 and 2237) on mangrove forest protection and preservation, four bills (SBNs 604, 786, 1101 and 1900) on delineating specific forest limits, and the substitute bill (SBN 2712) on the proposed Expanded NIPAS Act of 2015 providing for the sustainable development and management of protected areas in the country. The enactment of these legislative proposals would help in the protection, conservation, utilization, development and sustainable management of the country’s forest resources. CalEnergy Philippines, through a build-operate-transfer arrangement with the Philippine government, operates and maintains a power plant on the Philippine island of Luzon. CalEnergy Philippines is a MidAmerican Energy Holdings Company affiliate, a global leader in the production, supply and distribution of energy. It explores and develops energy sources that are reliable, renewable, clean, indigenous, economical and beneficial to the environment. In 1994, CalEnergy sought to further develop the Philippines’ vast water reserves. 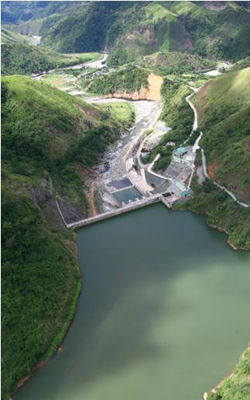 It took on the challenge of implementing a modified design for the long-planned Casecnan Transbasin Project that aimed to maximize the benefits of the underutilized Pantabangan Dam. 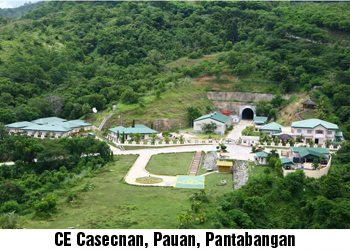 The Casecnan Multipurpose Irrigation and Power Project is a combined hydro and irrigation facility that diverts excess water from the Casecnan and Taan rivers through a 16-mile tunnel to a generating plant. The water is used to irrigate nearly 137,000 hectares of rice fields in central Luzon. In addition to generating electricity from its own hydro plant, the Casecnan facility feeds water to two other nearby hydro plants. In March 2011, after nearly 10 years, CalEnergy Philippines achieved 1.5 million safe man-hours worked without a lost-time accident. In 2011, CalEnergy Philippines also achieved its Triple Zero safety goal of zero lost-time accidents, zero Occupational Safety and Health Administration recordable incidents, and zero preventable vehicle accidents for the first time since the company started operations. CalEnergy provides assistance to local governments and communities through its corporate social responsibility programs and supports educational opportunities, livelihood projects, and environmental stewardship, and infrastructure development. CalEnergy Philippines completed a six-year pilot reforestation program in 2010, with more than 3,600 hectares reforested, and maintenance of reforested areas is ongoing. CalEnergy Philippines maintains a strong corporate social responsibility program that includes community- and family-based reforestation programs, livelihood programs, education promotion, community outreach programs, medical missions, blood donation drives and infrastructure projects, such as community electrification, construction of roads and bridges, and construction of sound housing. CalEnergy Philippines shares safety and health initiatives with the community by conducting training and information campaigns. First aid and basic life support training, defensive driving training, and drug prevention campaigns are among the programs that have been implemented. For more information on FEED’s Living Legacy and CSR programs, please contact: info@feed.org.ph or call/text +63 (0)917 552 4722.